It has laid largely unstudied in a university library for more than 100 years. 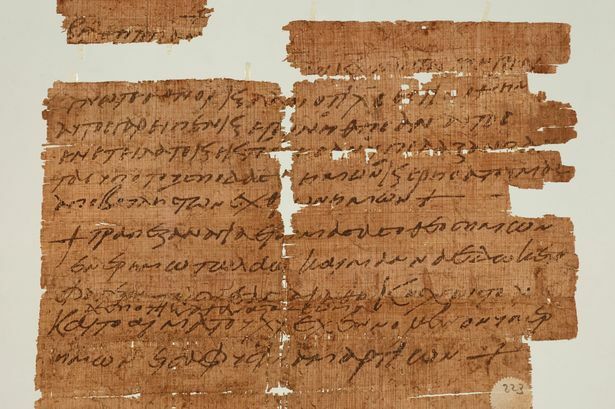 But now a 1,500-year-old papyrus has been identified as one of the world’s earliest surviving Christian charms. 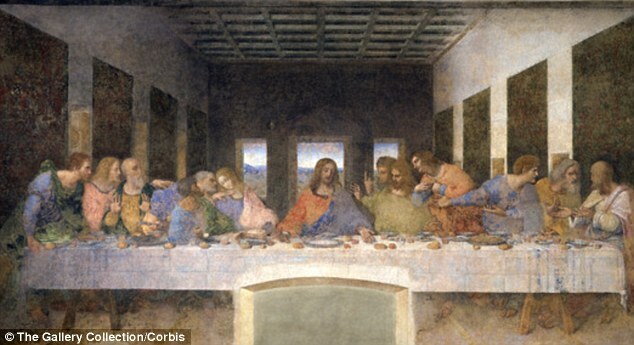 The ‘remarkable’ document contains some of the earliest documented references to The Last Supper and sheds new light on early Christian practices, experts say. The document was rediscovered in the University of Manchester’s John Rylands Library. It is the earliest surviving document to use the Christian Eucharist liturgy - which describes The Last Supper - as a protective charm. The ‘magical’ words are written on a recycled piece of papyrus, which was originally used as a grain tax receipt. Dr Roberta Mazza, a Research Fellow of the John Rylands Research Institute, came across the Greek ‘amulet’ while trawling through thousands of fragments of unpublished historical documents that are kept inside the library’s vaults. She believes that the charm casts important new light on early Christianity - just 300 years after the Roman emperor Constantine converted to the religion. It shows how Christians adopted the ancient Egyptian practice of wearing amulets to protect the wearer against dangers. This practice of writing charms on pieces of papyrus was continued by the Christians who replaced the prayers to Egyptian and Greco-Roman gods with extracts from the Bible. Dr Mazza used spectral imaging techniques to reveal that the charm was written on recycled papyrus. Faint lettering on the back of the charm is thought to be a receipt for the payment of grain tax which was certified by a tax collector from the village of Tertembuthis, outside the ancient city of Hermopolis, in modern el-Ashmunein. Dr Mazza explained: ‘The amulet maker would have cut a piece of the receipt, written the charm on the other side and then he would have folded the papyrus to be kept in a locket or pendant. The document had been held at the library since 1901, but no-one had realised its significance. Dr Mazza said: ‘This is an important and unexpected discovery as it’s one of the first recorded documents to use magic in the Christian context and the first charm ever found to refer to the Eucharist - the last supper - as the manna of the Old Testament. The text of the amulet is a combination of biblical passages including Psalm 78:23-24 and Matthew 26:28-30 among others. Dr Mazza said that some Christians still use passages from the Bible as protective charms, so the amulet marks the beginning of a trend in Christianity. ‘Though we know almost nothing about the owner of the charm, we think it could have been owned by a resident of the village nearby Hermopolis (el-Ashmunein),’ she said. ‘We can say this is an incredibly rare example of Christianity and the Bible becoming meaningful to ordinary people - not just priests and the elite. ‘It’s doubly fascinating because the amulet maker clearly knew the Bible, but made lots of mistakes: some words are misspelled and others are in the wrong order. This suggests that he was writing by heart rather than copying it. HOW IS THE FIND SIGNIFICANT? The papyrus contains some of the earliest documented references to The Last Supper. It is also one of the first recorded documents to use magic in the Christian context. It would have been folded up inside a locket or pendant, worn by someone in the hope it protected them. 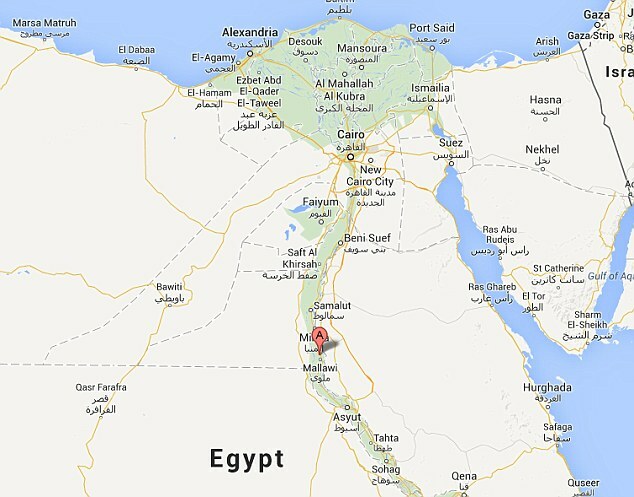 The papyrus also shows the extent to which Christianity had spread in Egypt 1,500 years ago. The charm would have been worn by an ordinary person - probably not a priest. Some Christians still use passages from the Bible as protective charms, so the amulet marks the beginning of a trend in Christianity. WHAT DOES THE CHARM SAY? 'Fear you all who rule over the earth. 'Know you nations and peoples that Christ is our God. 'For he spoke and they came to being, he commanded and they were created; he put everything under our feet and delivered us from the wish of our enemies.